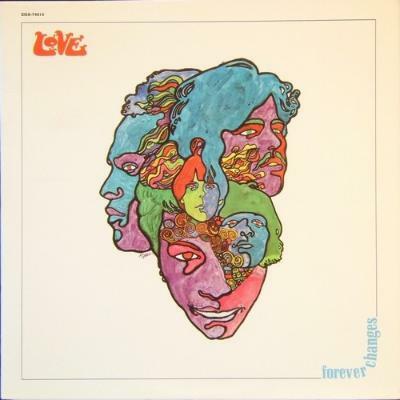 I was really impressed with Arthur Lee, I listened to Forever Changes a lot. It gave me a new take on using strings. Incidentally, when I was in Los Angeles a few weeks ago, I met this violinist who played with Arthur Lee. She came to England and played with the band that he had when he was over here ten or 12 years ago. He was in prison for a time, for firing that gun up in the air, and I found it really touching that he got a chance to tour again and connect with a generation of younger people that wouldn't have been able to see Love the first time around. And his voice, even then, was incredible. When I was in Hawkwind, I went to see Love at the Roundhouse, about 1970 or something like that, and I loved it. And then after, I went to this club called the Revolution and Love were there, I don't think Arthur Lee was, and they were having a jam and invited me to play with them. The guitarist sang the songs. I think Arthur Lee was a rather sad character in some respects, I mean he wanted to be on the scene but he didn't have long hair, so he put on a wig. I thought he was great, Love were great, and I was very sad when he died.